Quick and easy, this recipe is a snap to make! Spread tortillas with Miracle Whip; top with turkey and 2 Singles pieces. Place lettuce on bottom halves of tortillas; roll up. Substitute Philadelphia Chive & Onion Light Cream Cheese Product for the Miracle Whip Calorie-Wise Dressing. 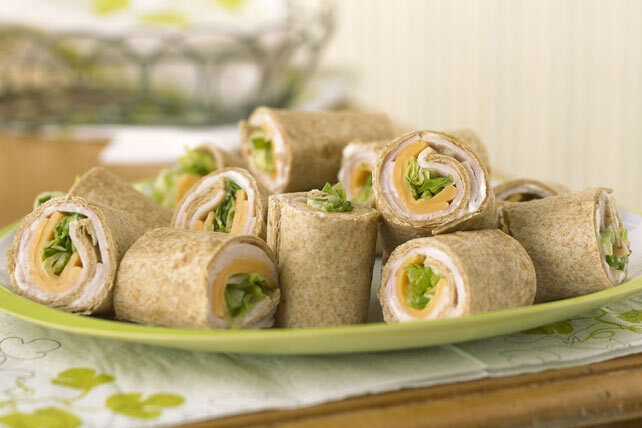 These quick-and-easy roll-ups can be part of a healthful eating plan.